Product Description; Rope Black Board; Rope in your audience with this creative Mikame item! 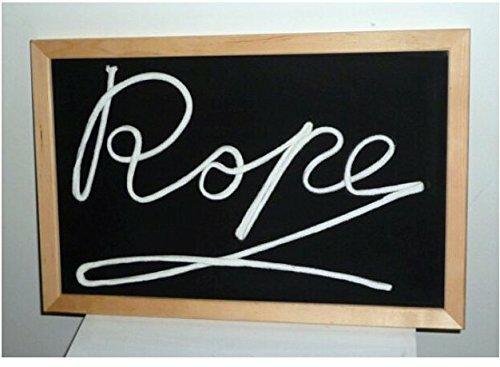 !Effect:Magician shows the black board and, with chalk, writes the word "Rope".Then, in the next moment, the word changes into real rope! !Magician peels rope off of board to show audience.It appears that what you wrote has changed into a rope!! !Excellent jump start to begin your rope routine! !